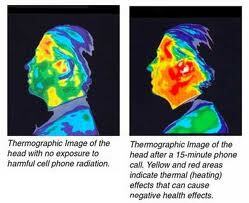 It is widely know amongst well researched individuals that cell phones emit radiation. However, the FCC and the US Government continue to do everything in their power to not let this issue come to light by claiming tests are flawed (therefore we don’t know the truth). ABC reports: A government test used to measure the radiation people absorb from their cellphones might underestimate the levels to which most adults and children are exposed, according to a group of doctors and researchers whose stated mission is to promote awareness of environmental health risks they believe may be linked to cancer. Researchers from the Environmental Health Trust released a report this morning noting that the Federal Communications Commission test to determine radiation exposure is flawed. The reason for the discrepancy, the group says, is that the process to determine radiation exposure from cellphones involves the use of a mannequin model that they say approximates a 6-foot-2, 220-pound person. Because the model represents only about 3 percent of the population, the authors report, the test will not accurately predict the radiation exposure of the other 97 percent of the population, including children. The group is pushing for a new testing system to measure radiation exposure in a wider range of consumers. “The standard for cellphones has been developed based on old science and old models and old assumptions about how we use cellphones, and that’s why they need to change,” said Dr. Devra Davis, former senior adviser in the Department of Health and Human Services under the Clinton administration and one of the report’s authors. Apparently the government of India gets it. India is issuing a mandatory requirement to cell phone manufactures requiring them to document the dangers of radiation emissions from mobile devices. A ZD Net article reports: The debate on whether cell phones and cell towers are injurious to health has no decisive winner. The companies say it’s all good; the skeptics say these companies have deep pockets that make it appear all good. The role of a government in this discussion therefore becomes more important and the Indian government has decided not to sit quiet on this topic. The government has directed cell phone manufacturers to display radiation information on the cell phones. Earlier this year, the government came out strong on the topic of cell phone radiation and instructed all phone manufacturers to limit the Specific Absorption Rate (SAR) to 1.6 Watt/Kg. SAR is the rate at which a human body absorbs energy due to an electromagnetic field. The rate set by the government of India is 1.6 Watt/Kg per 1 g of human tissue. The Federal Communications Commission in the US has prescribed the same levels for cell phone manufacturers in the US; the EU, however, is different.The new SAR levels will be in effect starting September of this year and OEMs are expected to have the SAR mentioned on the handsets going forward. The rule applies to all handsets sold in India irrespective of where they are manufactured.